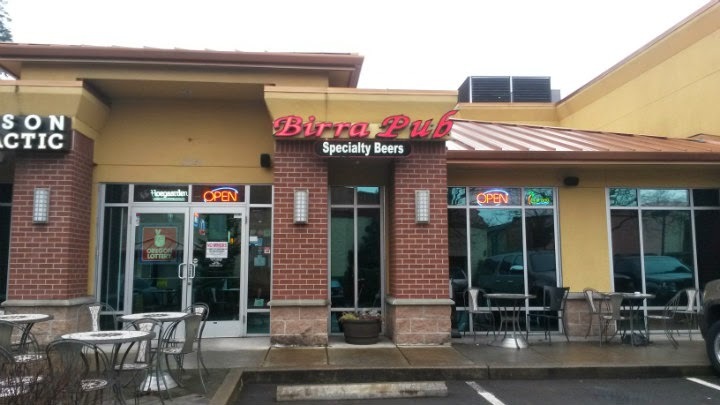 Birra Pub is located on SW Martinazzi Avenue in Tualatin, Oregon. The inside feel is a cross between a lounge and a bar. Lots of beer bottles and beer signs adorn the walls. 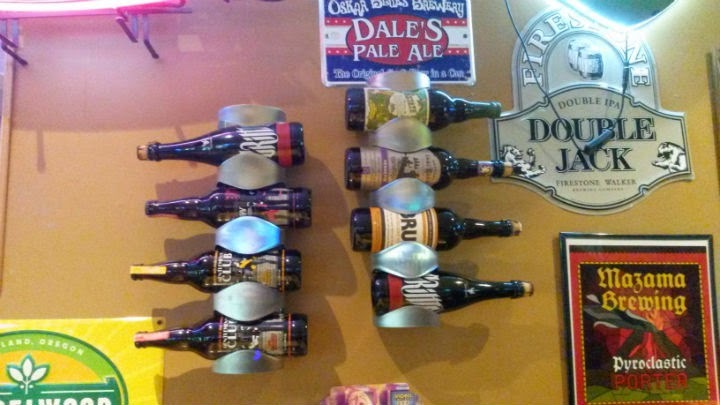 Shelves of beers (room-temperature and chilled) are available. 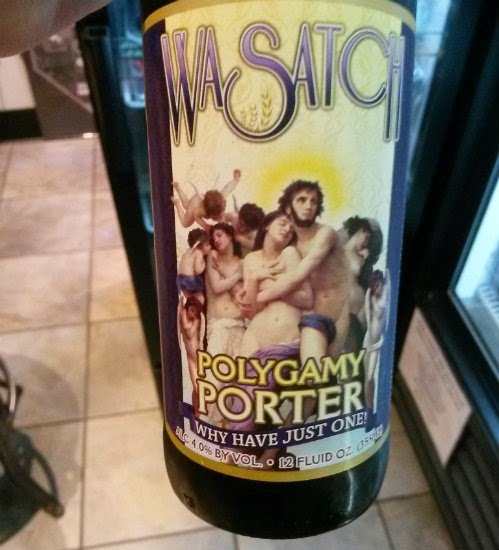 Not a huge selection, but there are several bottled options that are not found in just any store. 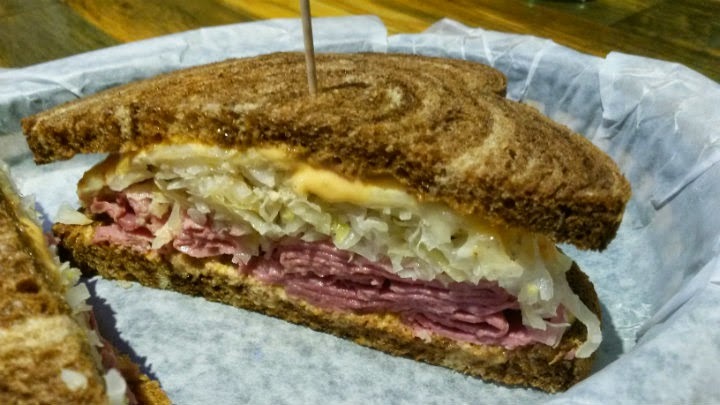 There are about 12-14 rotating beers on tap, plus a couple of kombucha choices. Two TVs on the wall behind the bar to watch some sports. 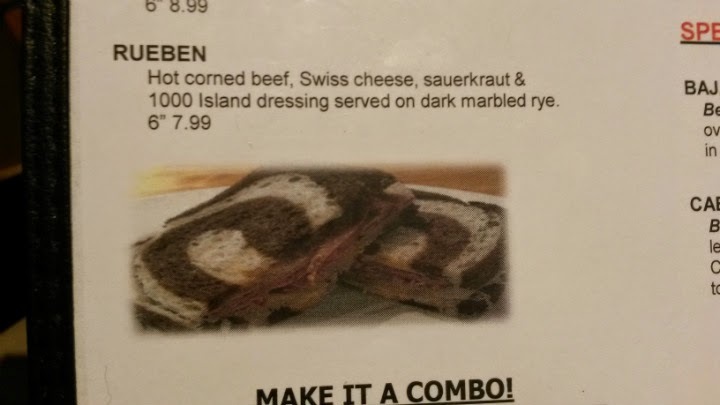 I got the Reuben sandwich ($7.99), with corned beef, sauerkraut, and 1000 Island on dark rye. 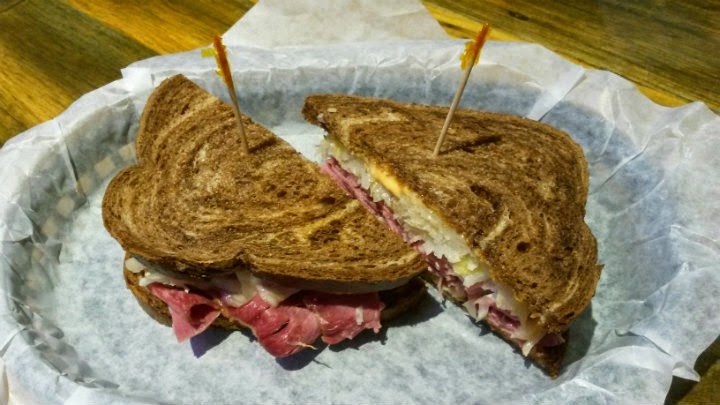 Frankly, for a pub, it was a dang good sandwich. For me, if the bread had been toasted a bit more, it would have been that much better. 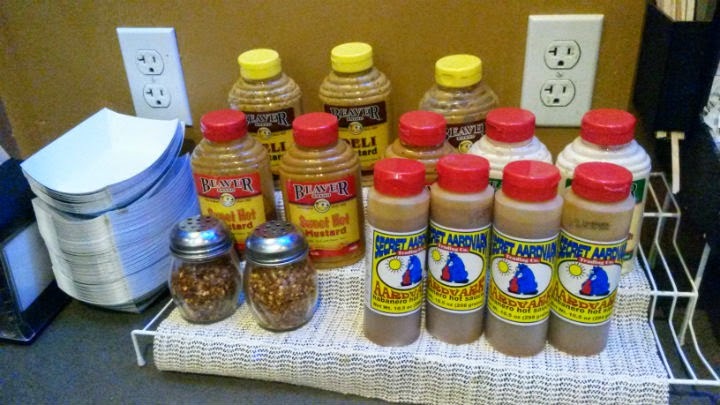 Condiments here include Secret Aardvark habanero sauce. Win. My friend and I came in around dinner time and we were the only customers there for most of the time. It's a small, rather low-key place to hang out and watch the game. We each got a couple bottled beers to take home. And some were very unique. Winner winner panda...happy hour?